Last night, towards the end of her shower, Jan called out “The water is starting to splutter!” The water pump was operating but making a strange vibration. I turned it off and back on to no avail. Running water from all the taps had no affect. There was water but the pressure was low. It seemed like the pump wasn’t working and the water was coming through the system solely by gravity. The best thing to do was to turn off the power to the pump and do some more thinking. Finally I reached a logical assumption. We have two water tanks. The very large one in the bow and a smaller tank under the foredeck. They are connected by a length of flexible pipe through the bow thruster locker. 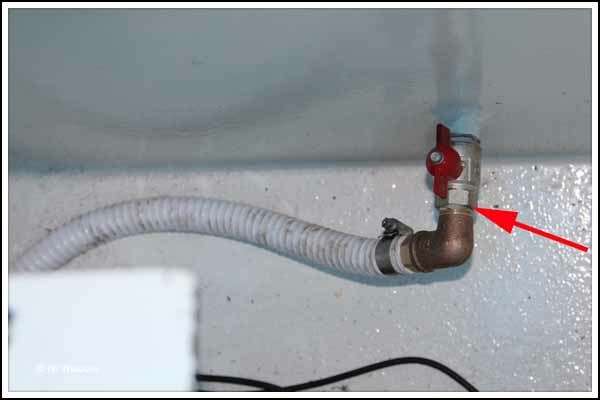 There is a valve on the outlet from the main tank and the inlet to the smaller tank. There’s also a valve on the outlet from the smaller tank. I had turned OFF both valves after filling the water tanks just in case there was a leak somewhere in the smaller tank. 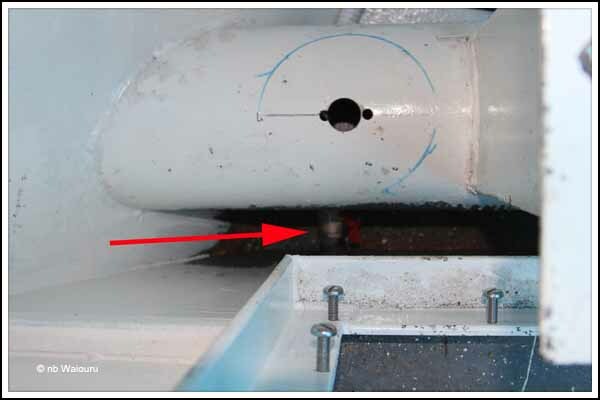 This was done as a safety measure because the cratch automatic bilge pump has yet to be fitted and any leaking water may have entered the cabin. However, I forgot to turn them back on when we started living on board Waiouru last Sunday. Only the outlet valve from the smaller tank to the pump was open. For the last 6 days we’ve been using water from the smaller tank and it finally ran dry last night! So the pump was sucking air. I turned on both valves in the bow thruster locker which allowed water from the main tank to fill the empty smaller tank. This morning I checked the water level in the main tank and its dropped by a third. So nothing is wrong with the plumbing or pump, and it appears we may have sufficient water storage capacity for at least two weeks normal use.